The rains came down in Seattle two weekends ago, and the snow definitely came down in Minneapolis this past weekend. Thankfully, it only mattered to the riders who had to ride their bikes from their semis across the street into the stadium. 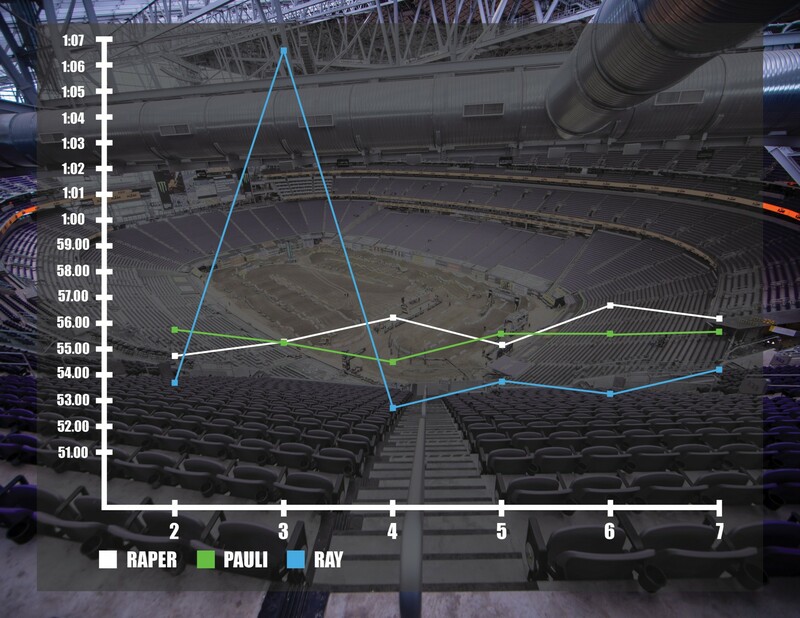 Minneapolis was also the location of the final Triple Crown race of the season, and it was just as good as the other three. In six races between the 250 and 450 class, we saw six different riders take the checkered flag. Eli Tomac walked away with the first race win, the 450 overall, and the Triple Crown Championship that nobody knew about, while Jeremy Martin got the 250 win in front of his hometown crowd. Let’s dive into the lap data to figure out how these races were won and lost with this week’s Sign of the (Lap) Times. First, our traditional lap time charts. The second 450 race was the best one of the night. Justin Brayton, who has become a crowd favorite pretty much everywhere he goes, got out front early and looked to have a good chance at the race win as he fended off Jason Anderson on lap nine and had a decent gap on the rest of the field. Then Anderson rushed a pass attempt and ended up off the track. But Marvin Musquin was lurking. After a poor performance in the first race that Musquin attributed to a some bad bike settings, he found his rhythm halfway through the second race and started to make up some big chunks on Brayton, who was uncharacteristically struggling to put together consistent laps. Musquin went from fifth place on lap eight to first place on lap 13. 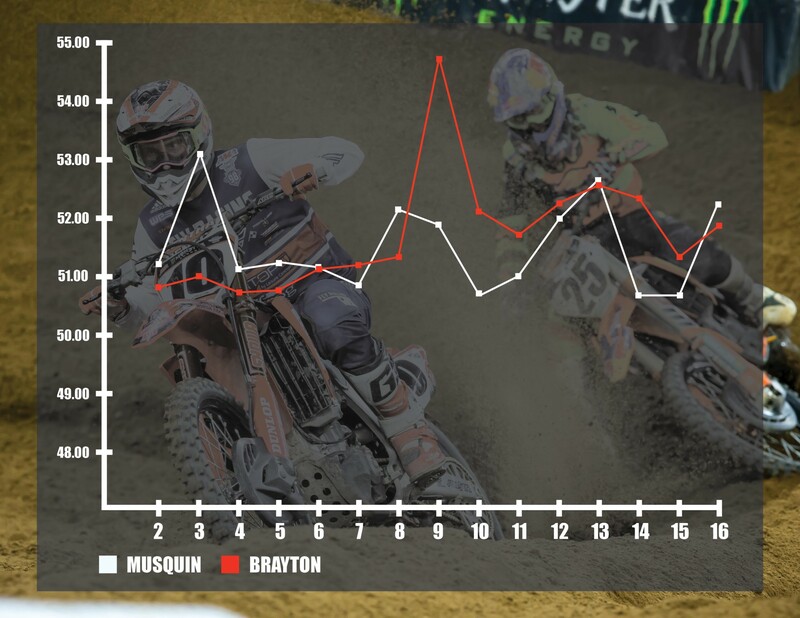 Take a look at how his times compared to Brayton's throughout the race. One potential downside of the Triple Crown format that many have pointed out is that you can run into situations where the riders won't push as hard in the third race because they may already have the overall win locked up. 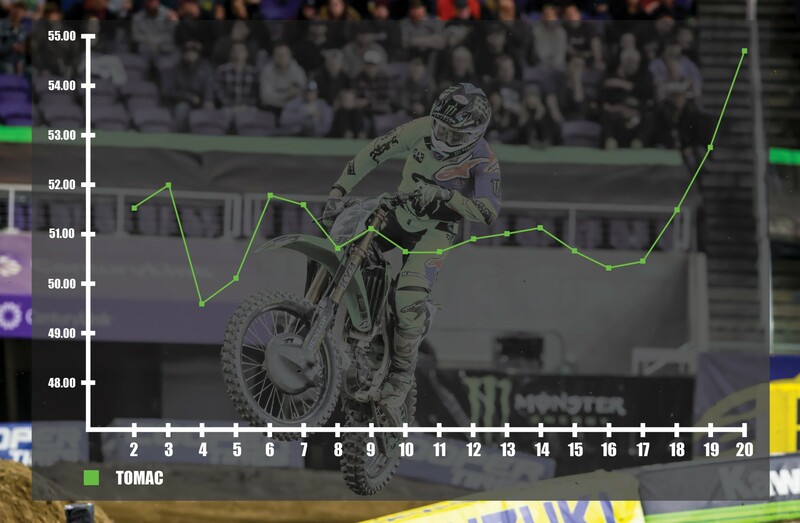 We saw this happen with Tomac in the final race, as he knew that he just needed to get around Brayton for third place and the overall would be his. Looking at his lap times, you can see he really backed it down on the last three laps, which he confirmed in the post race press conference. "Yeah. I knew when Brayton was in front of me, that wasn’t a position I wanted to be in. Then once I got to third, I was like, it’s good enough. Not until the last two laps, I really went into full conservation mode there. So I was trying to charge behind Marv there, doing what I could. I think we were behind Brayton on the option lane when Marvin got by me. That’s what shuffled me back. We lost touch with Jason and he was gone. Just gave it my all, but that was that." If you weren't tuned into Race Day Live on Saturday afternoon, you missed one hell of a 450SX LCQ. Henry Miller and Kyle Cunningham had uneventful races out front, but the real battle was for the final two transfer spots between Deven Raper, Theodore Pauli, and Alex Ray. If you haven't seen it yet, go to the 4:28:00 mark of the stream below. The three riders finished just 0.839 seconds apart from each other. Alex Ray put on a pretty epic charge to come back from a crash on lap three to just 0.2 seconds behind Pauli, who took the final transfer spot into the night show. Take a look at how each of their races broke down. Even though it didn't have any effect on the race, the weather was one of the most talked-about things of the weekend. 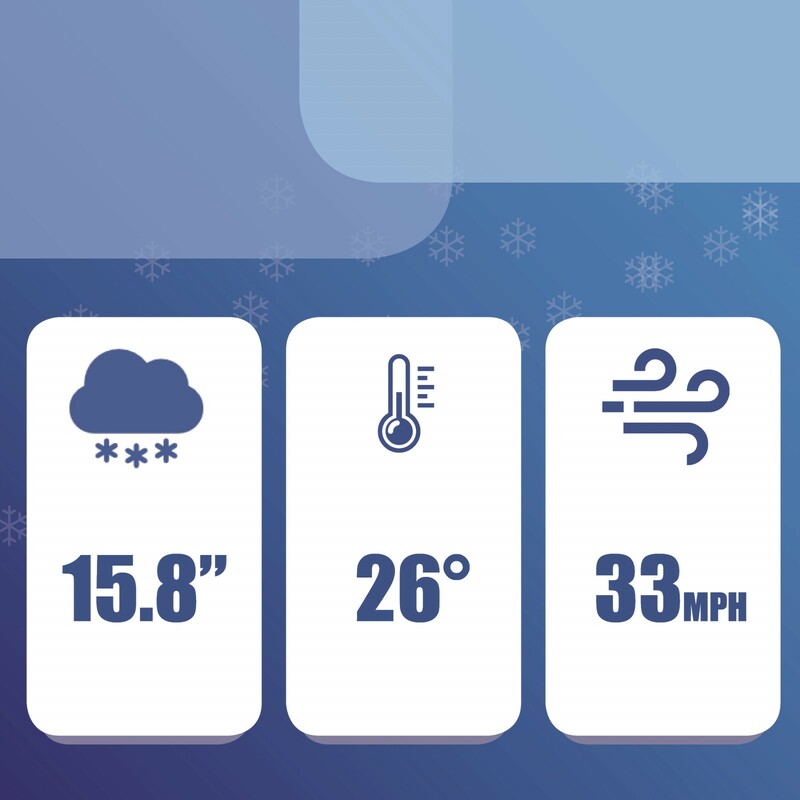 In total, the storm dumped 15.8" of snow on Minneapolis, the 12th most on record, with an average temperature of 26 degrees Fahrenheit and winds up to 33 miles per hour. It's not the craziest snowstorm ever, but it is pretty wild when you consider it all happened in the middle of April. In the end, a decent number of fans still showed up to watch the race, and only a few rental cars got stuck on their way back to the airport. Hopefully the weather stays away this weekend in Foxborough, where the roofless stadium won't be as kind to the track.